AlphaVille Designs has released a fan-made poster for "Once Upon A Time In Hollywood." After hearing from all of you in talkbacks about how tired you all are of crappy character posters, this should make some of you happy. Personally, I prefer this fan-made poster to those boring character pieces, and I also prefer posters to have some artistry involved. I think Hollywood studios could learn quite a bit from companies like MONDO who have had obscene success with promoting artistic tributes worthy of the cinematic masterpieces they pay homage to. 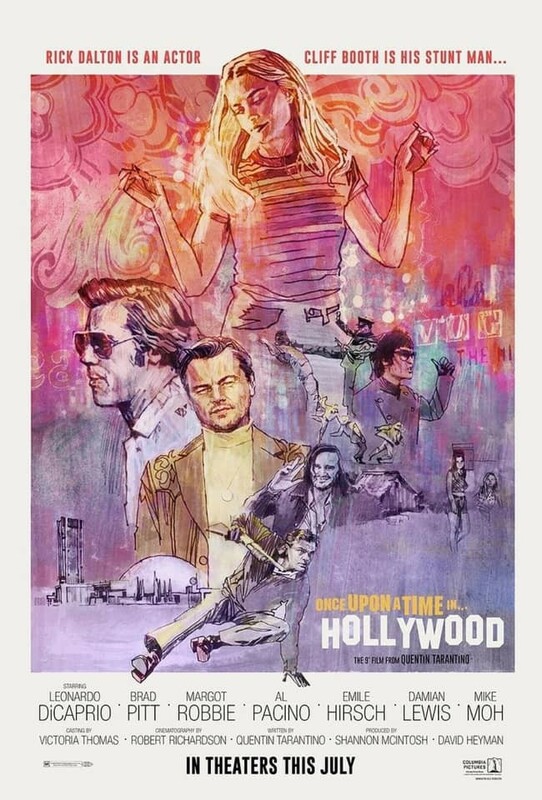 Here is AlphaVille Designs take on a "Once Upon A Time In Hollywood" poster. What do all of you QT lovers think of this fan made poster? I love it, and the poster aesthetically reminds one of the actual time periods this film is set in, kudos to AlphaVille Designs from AICN! Sony Pictures just give AlphaVille some cash and use this design!